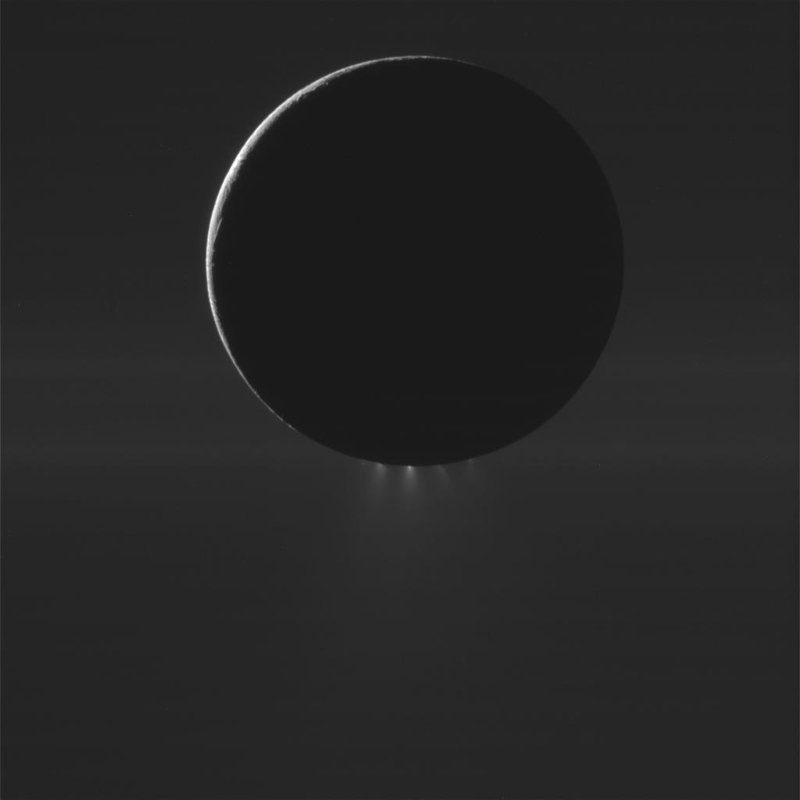 It’s been suspected for nearly a decade that Saturn’s 315-mile-wide moon Enceladus harbors a hidden ocean beneath its frozen crust, thanks to observations by the Cassini spacecraft of icy plumes spraying from its southern pole, and now scientists have even more evidence supporting its existence: Doppler measurements of the moon’s gravity taken during Cassini’s flybys show variations indicative of a subsurface southern sea as deep as the Pacific’s Mariana Trench! The gravity measurements suggest a large, possibly regional, ocean about 6 miles (10 kilometers) deep, beneath an ice shell about 19 to 25 miles (30 to 40 kilometers) thick. 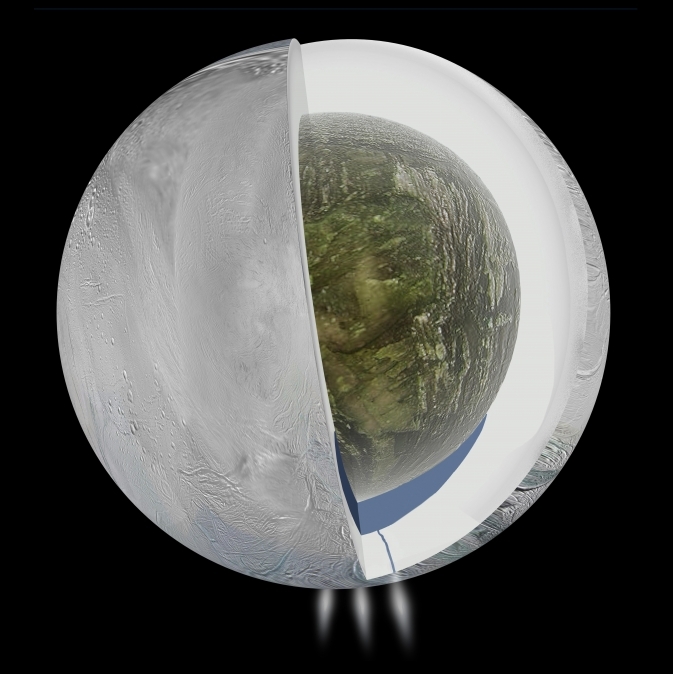 The subsurface ocean evidence supports the inclusion of Enceladus among the most likely places in our solar system to host microbial life. Before Cassini reached Saturn in July 2004, no version of that short list included this icy moon, barely 300 miles (500 kilometers) in diameter. “This then provides one possible story to explain why water is gushing out of these fractures we see at the south pole,” said David Stevenson of the California Institute of Technology, Pasadena, one of the paper’s co-authors. The findings were published in the April 4 edition of Science. 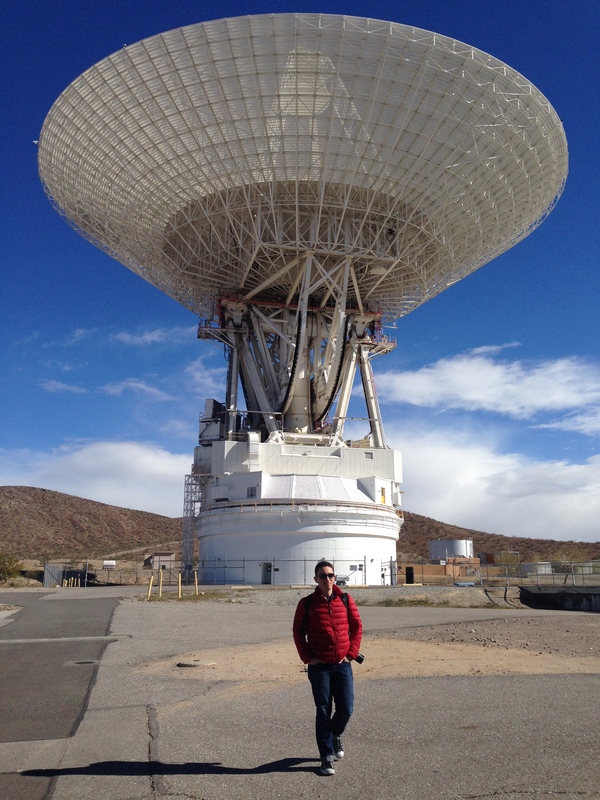 The data were collected by Cassini and received at NASA’s Deep Space Network in Goldstone, California — a site which I had the opportunity to visit on April 2, 2014, as part of a NASA Social event honoring the facility’s 50th anniversary. Read more in the NASA press release here and in an article on Nature.com here. Very interesting, thanks for keeping me updated. Your blog is great! And also cool the pic with Jason and the 70-meter antenna. Waouww the beast ! !